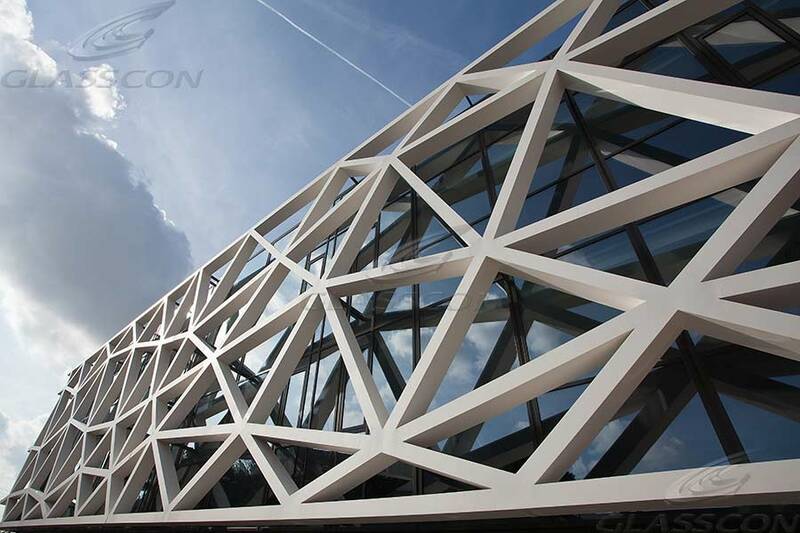 HONEYCOMB Cladding panels - Exterior and interior cladding panels with VARIOUS FINISHES, of high rigidity, strength & large panel dimensions - GLASSCON/Experience in building cladding. 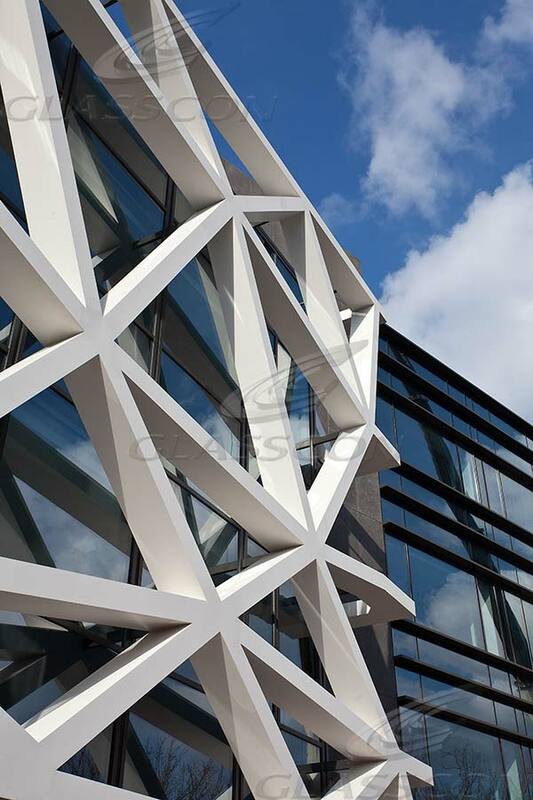 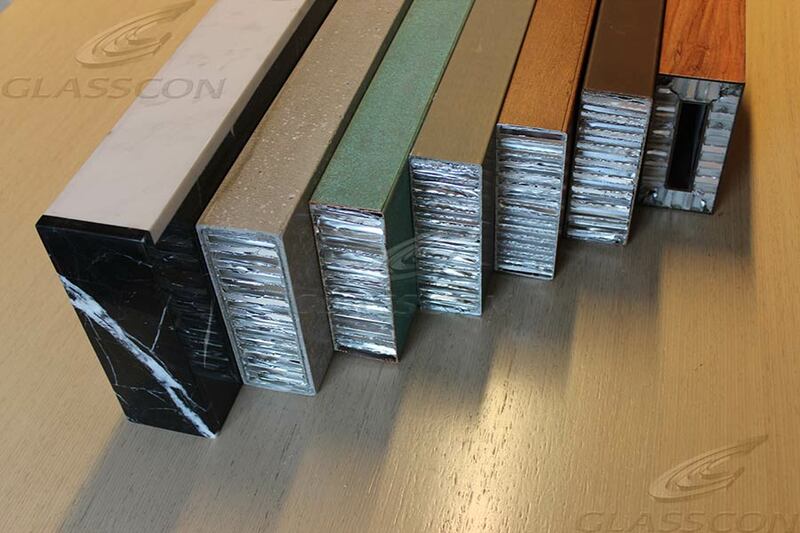 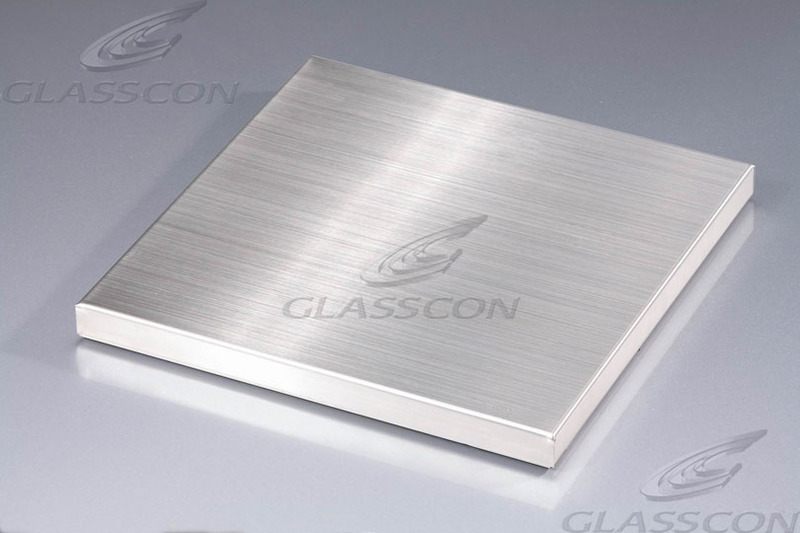 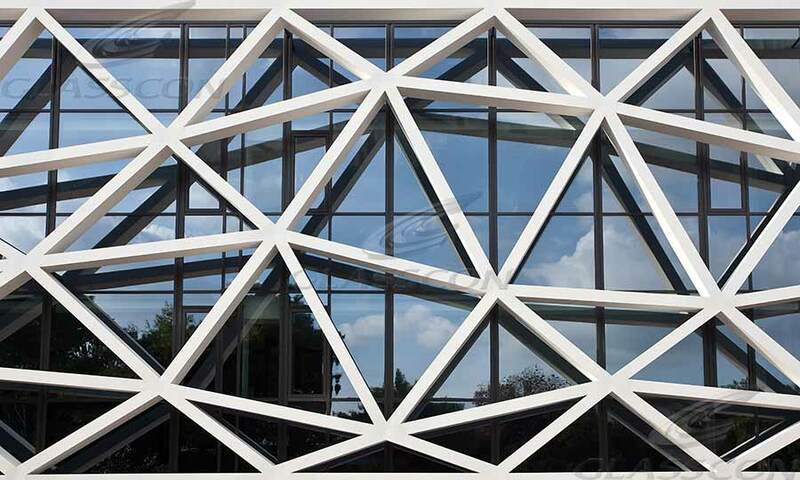 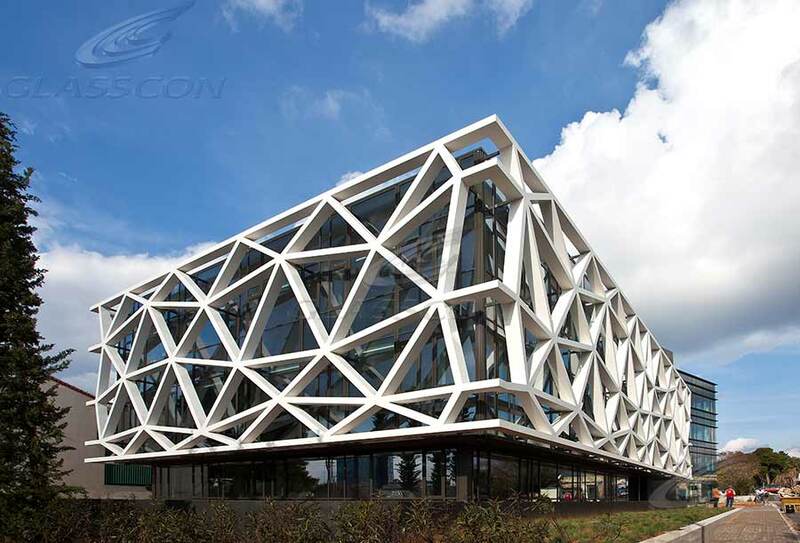 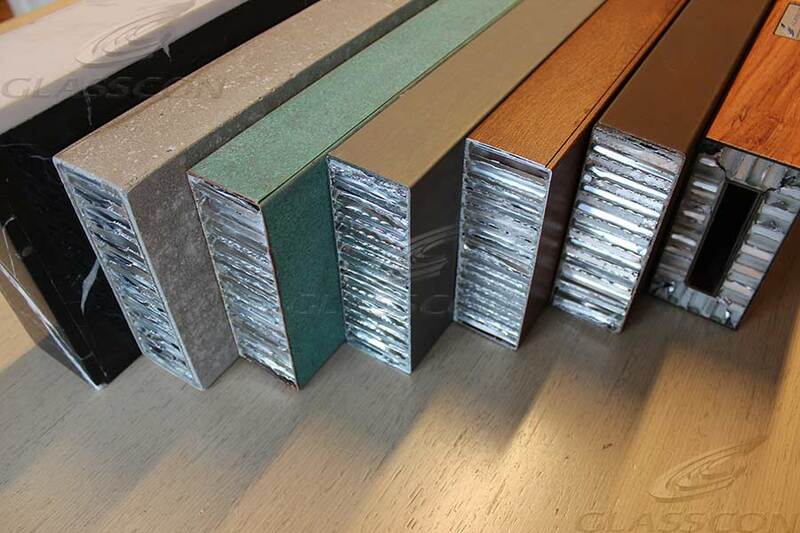 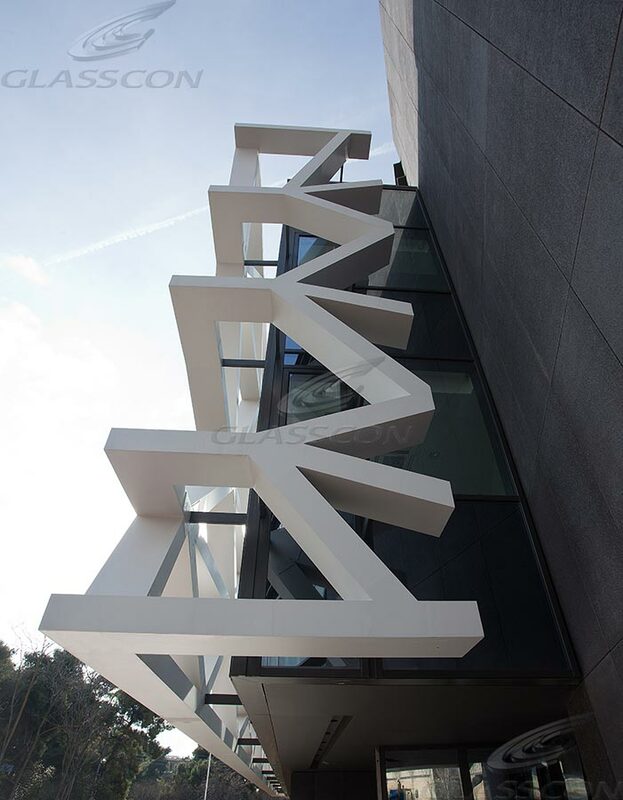 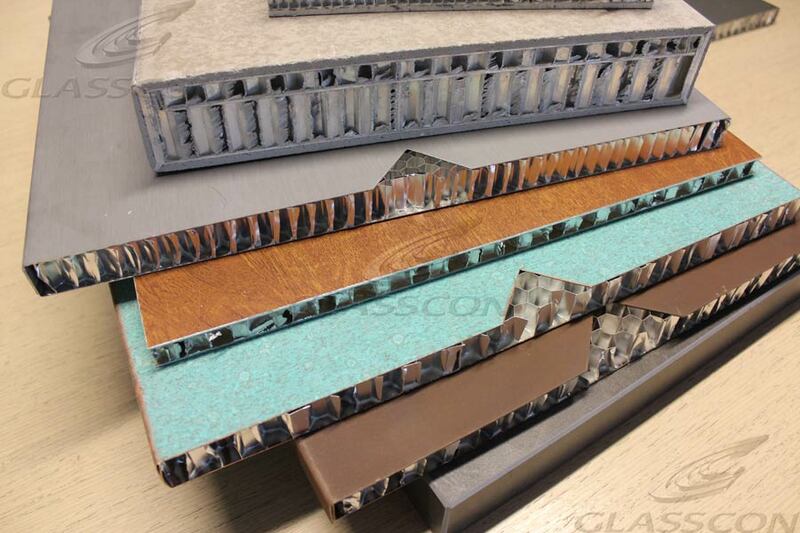 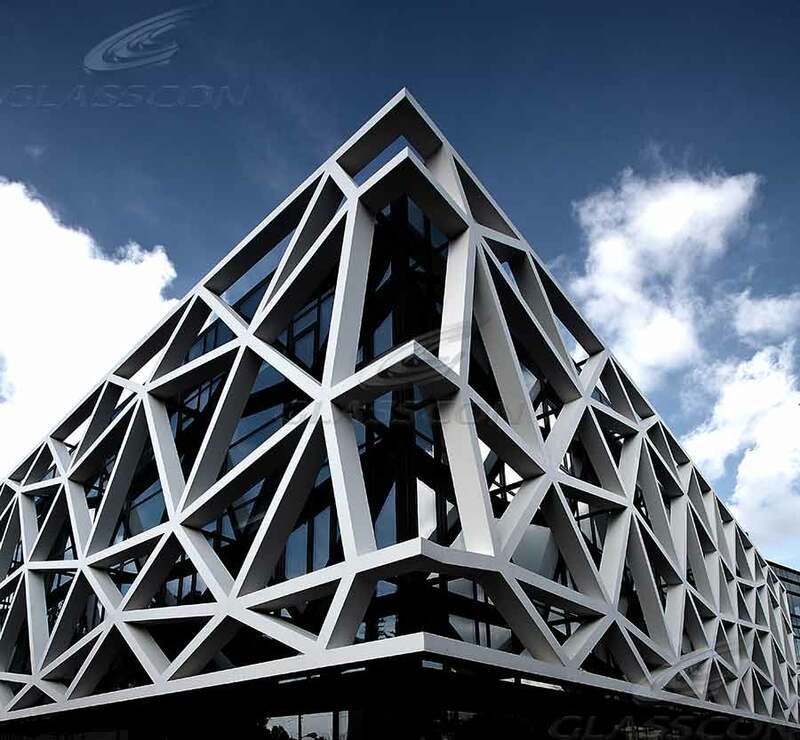 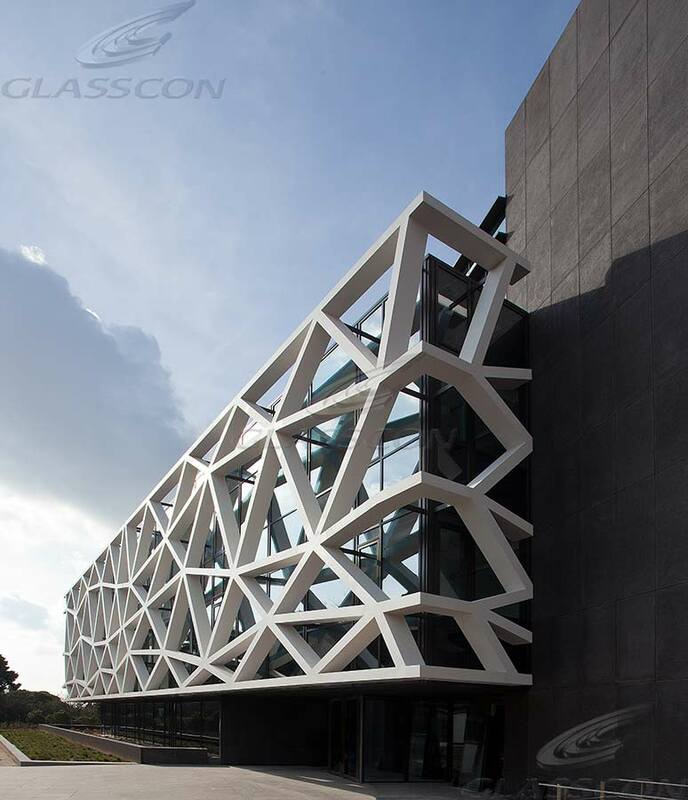 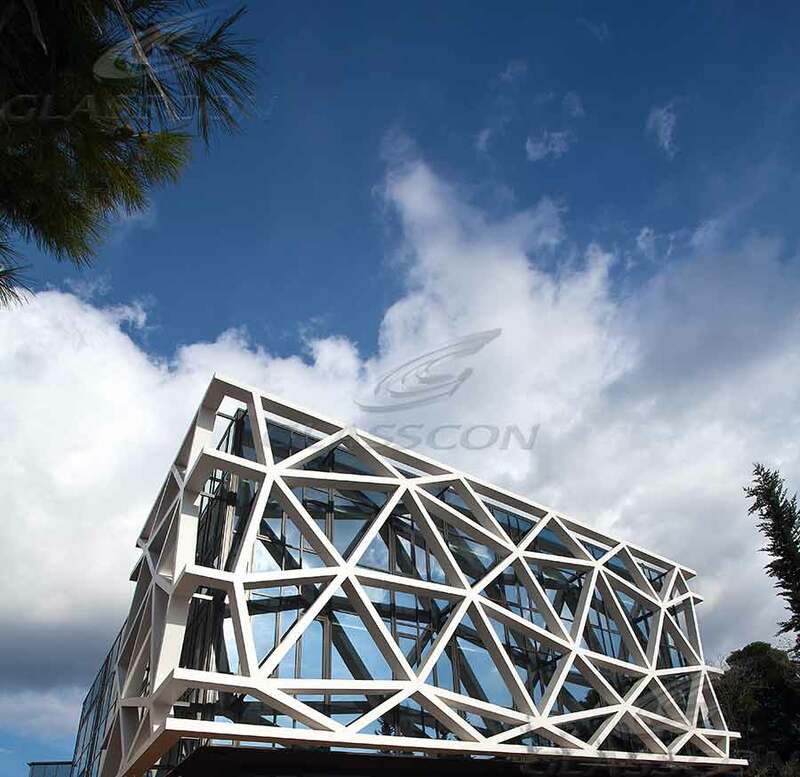 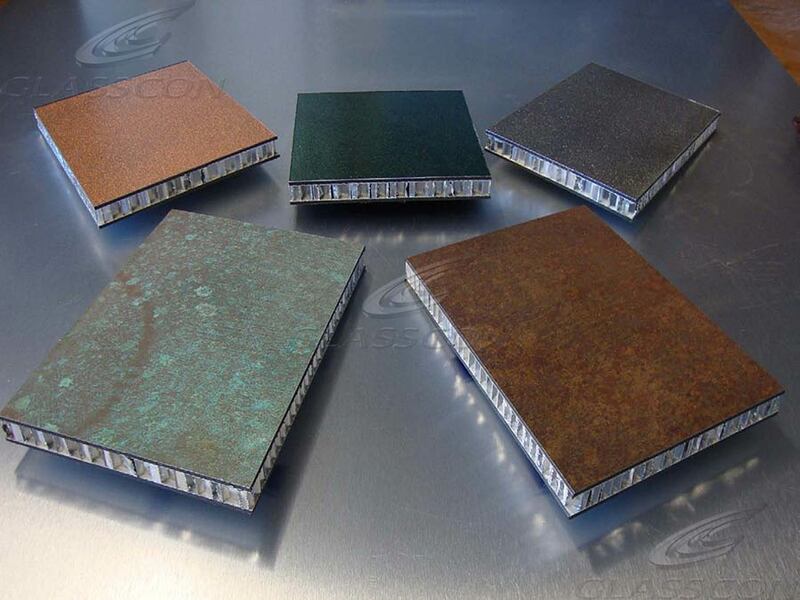 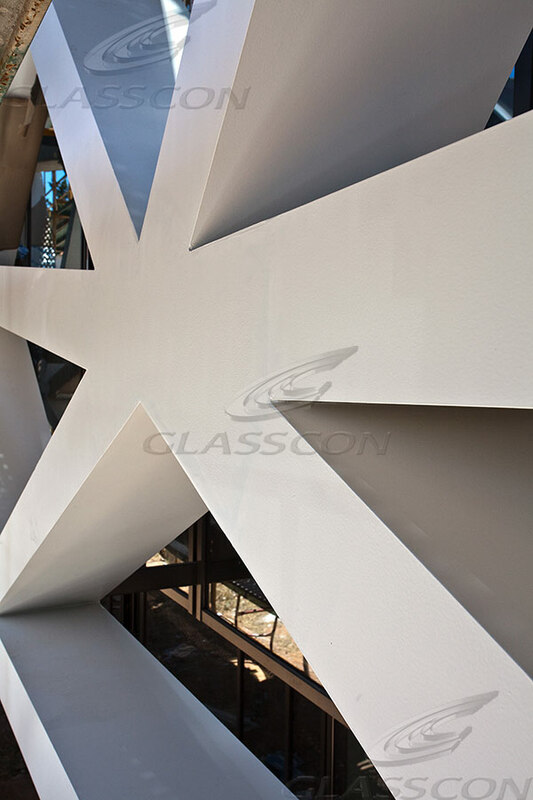 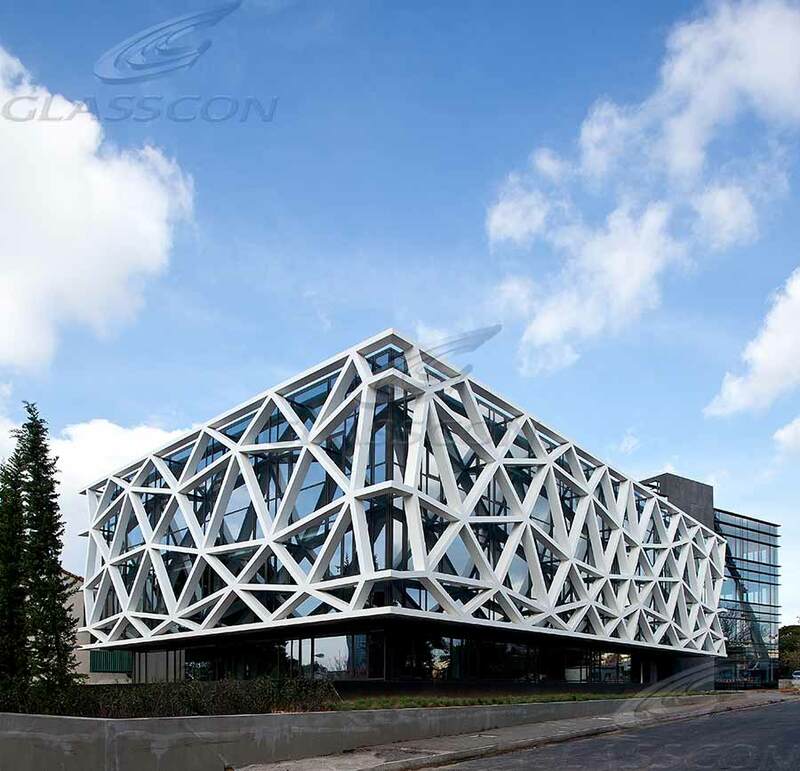 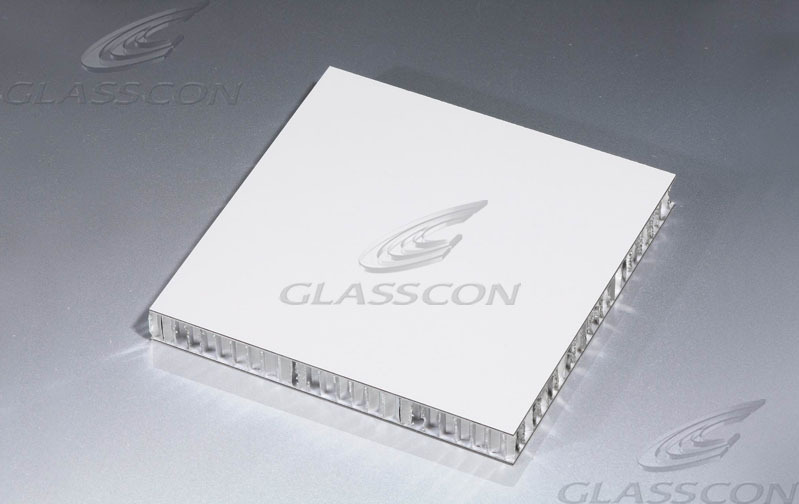 GLASSCON, devoted in its commitment in developing and applying novel, innovative building cladding systems, offers a new cladding system based on HONEYCOMB aluminum panels. 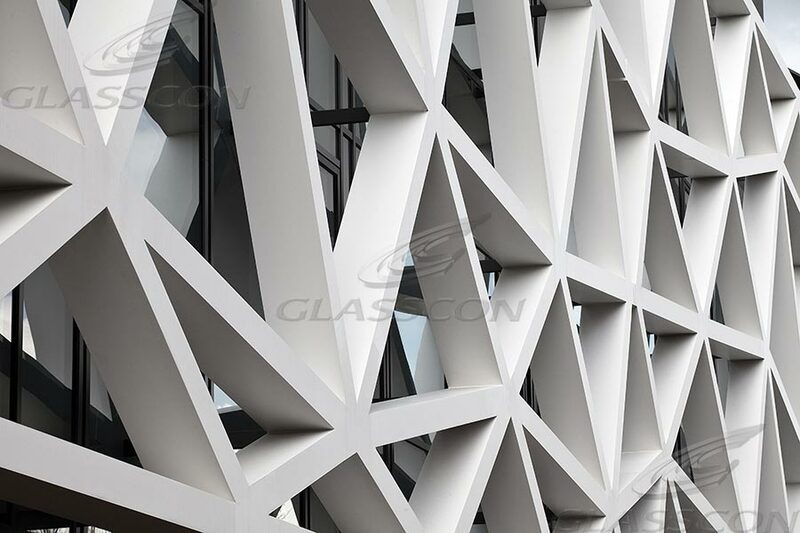 Panels with very large dimensions (1,2m * 2,40m & 2,2m * 10m ), which it is not possible to achieve using simple material, such as marble, granite, etc without the reinforcement of ALUMINUM CORE. 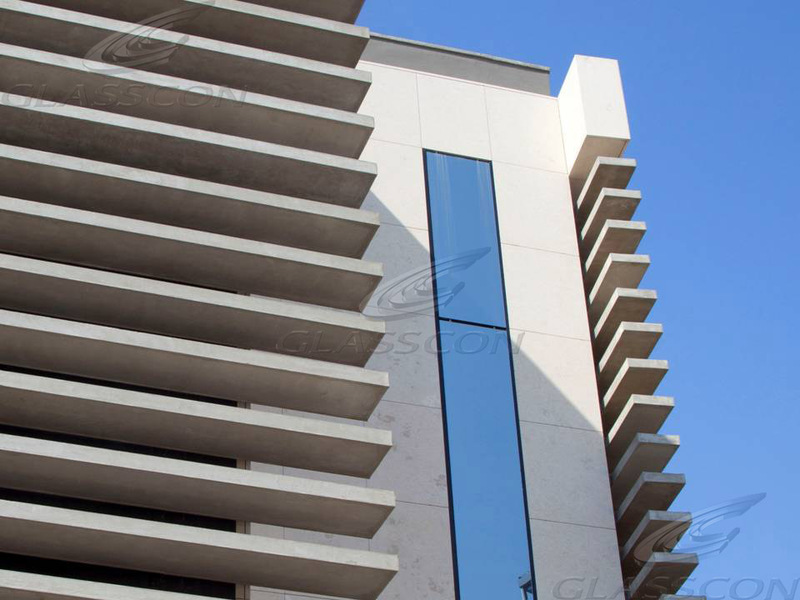 Any kind of SUSPENSION is POSSIBLE such as hanging, vertical, horizontal or inclined. 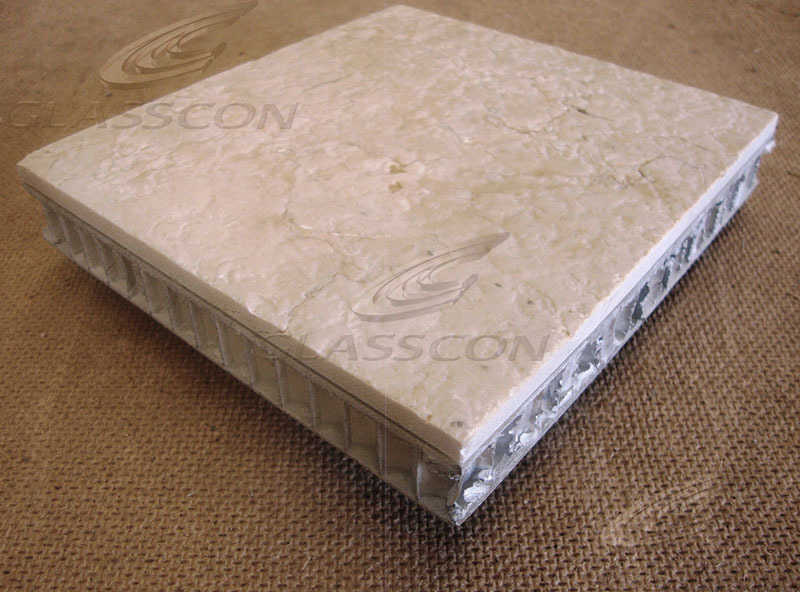 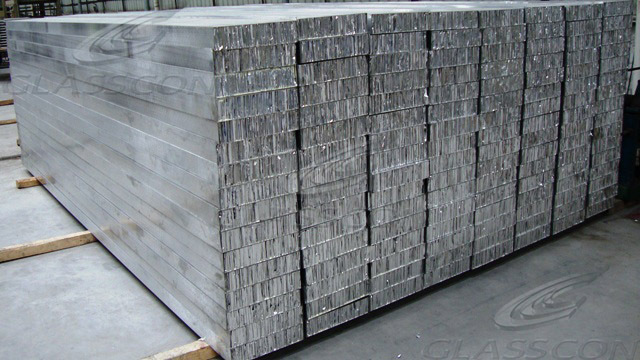 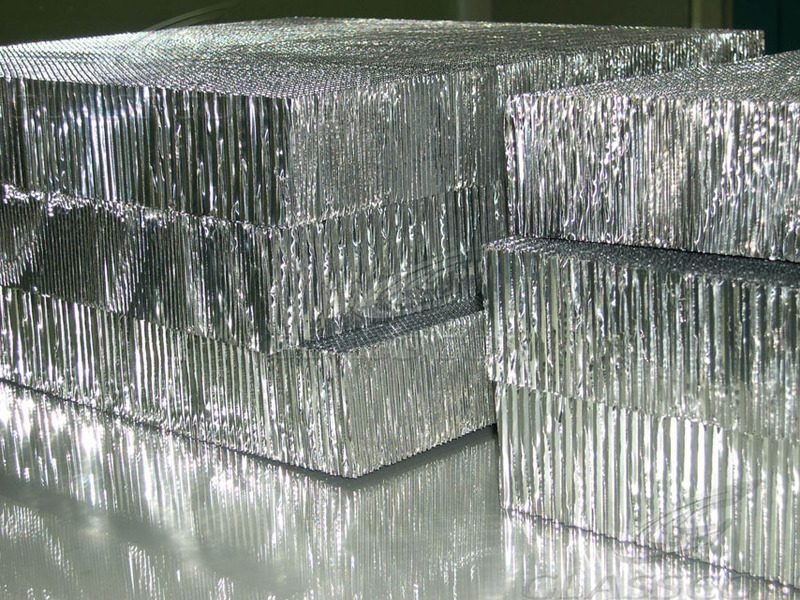 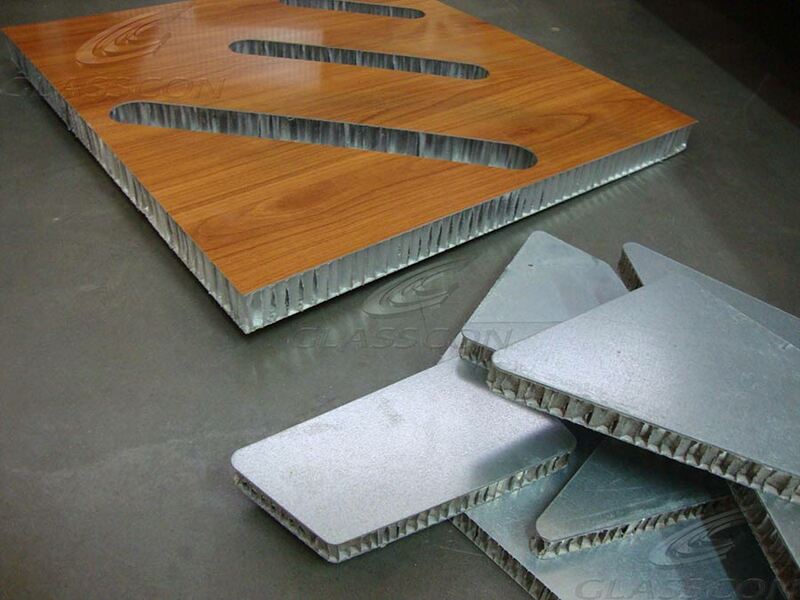 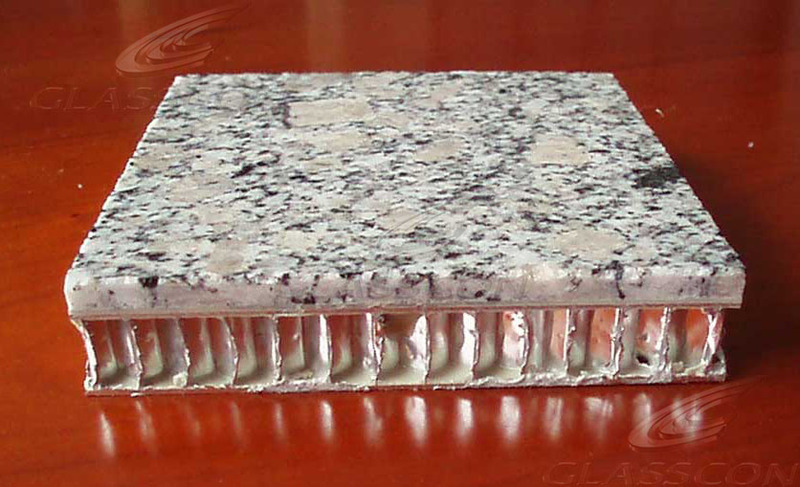 Self weight of the panels is very small ( 11-14 kg/sqm) because of the internal structure of the aluminum core. 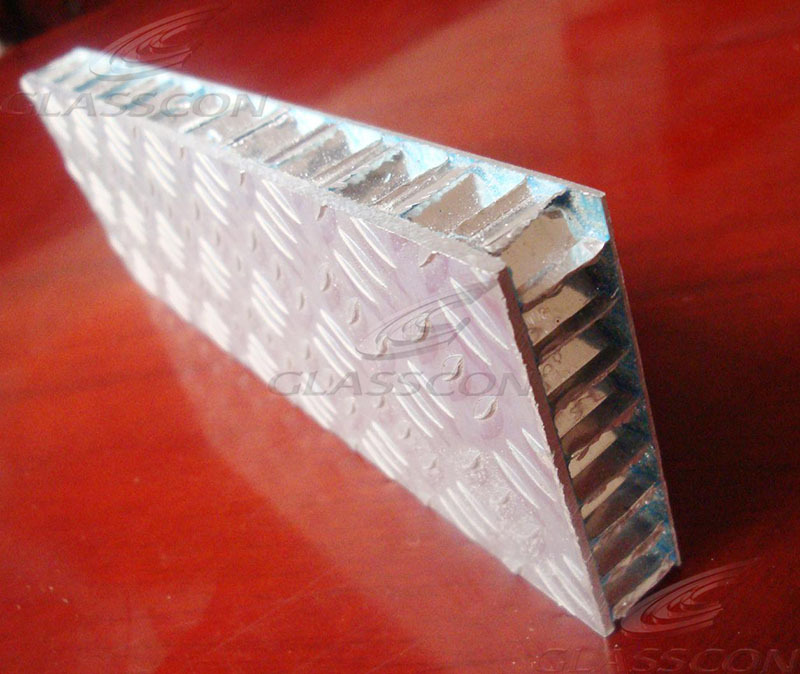 Thickness of internal ALUMINIUM CORE (without the finish material): 9,12,15,17,19 mm. 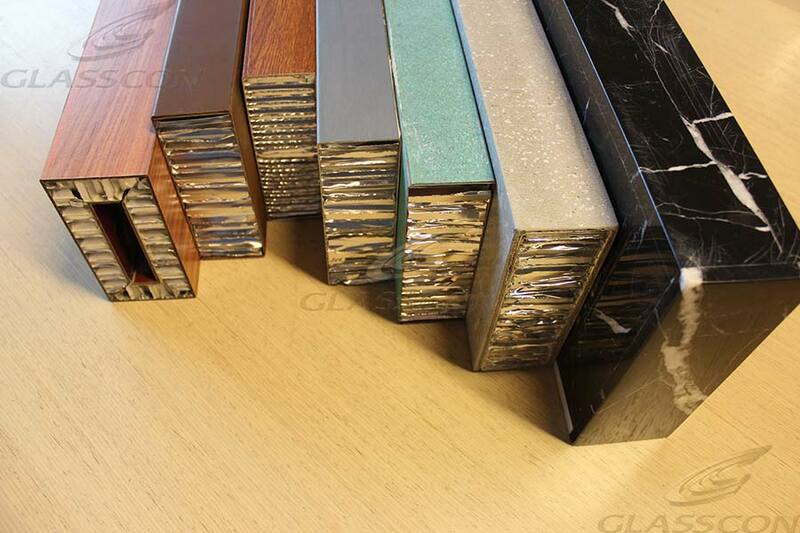 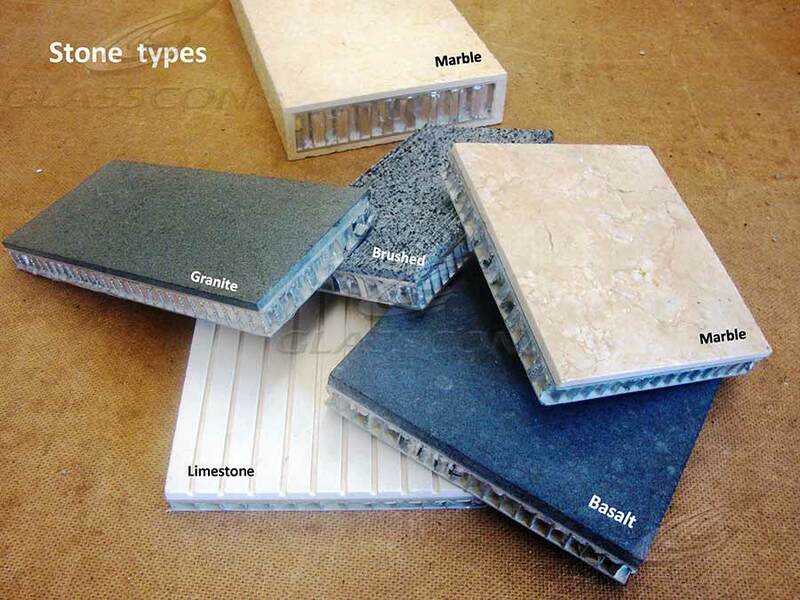 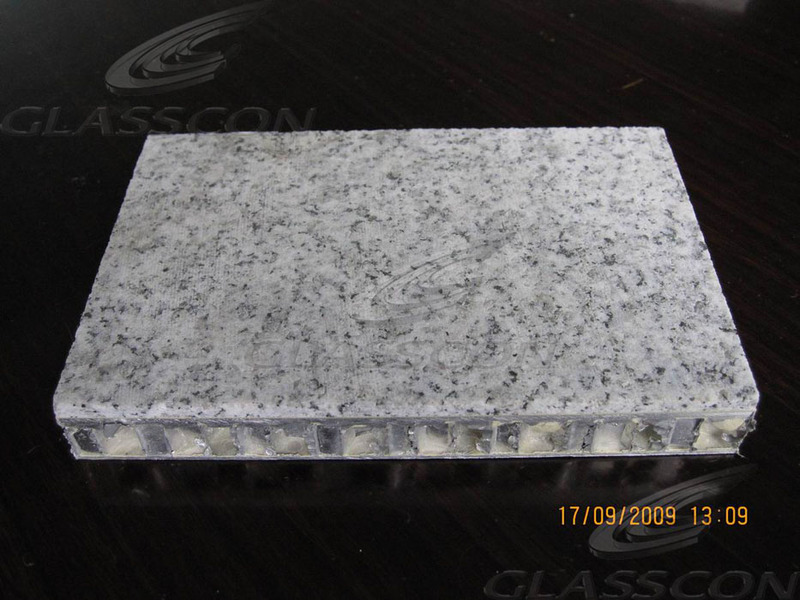 Thickness of finish materials like STONE/MARBLE/GRANITE: (Min/max): 3 mm - 5 mm. 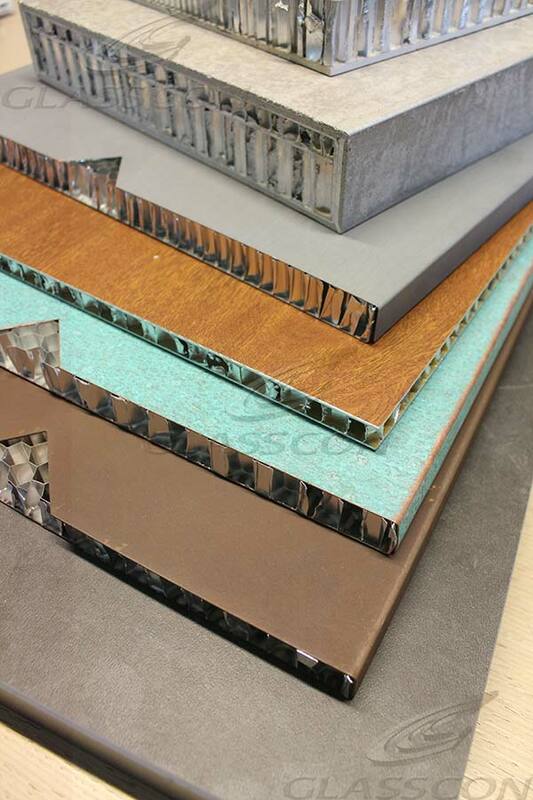 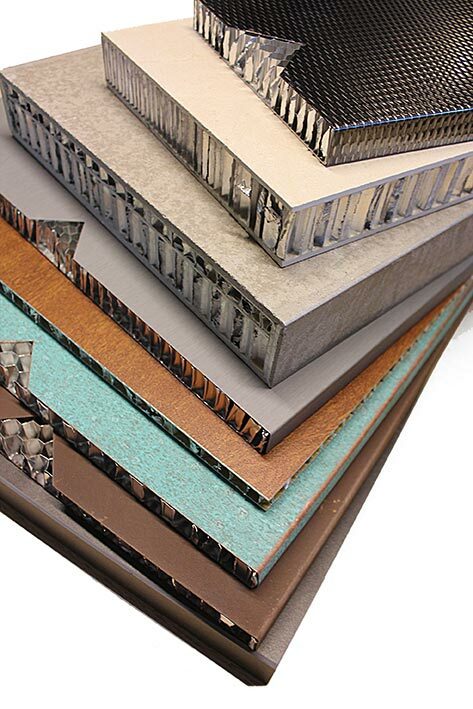 Thickness of finish materials like STEEL/ALUSHEETS/INOX/CORTEN/ZINC/COPPER: (Min/max): 0,3 mm - 2 mm. 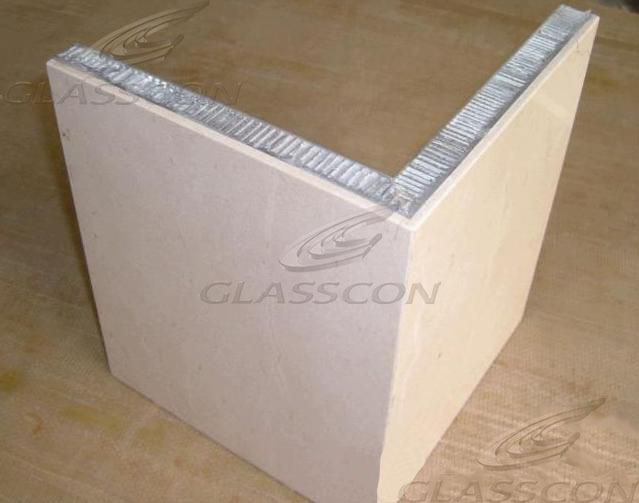 GLASSCONs HONEYCOMB CLADDING panels are multilayered structures, consisting of a) one internal ALUMINIUM CORE sheet in various thicknesses and b) and external (on both or one side) FINISHES with materials like CONCRETE, COPPER, ZINC, INOX, STONE, MARBLE, WOOD, STEEL etc. 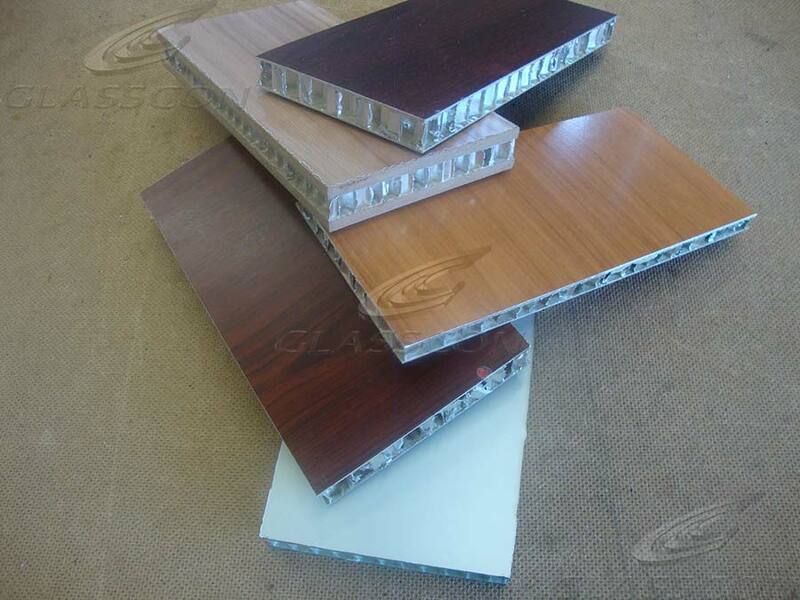 These layers are laminated together with a non-toxic adhesive epoxy material. 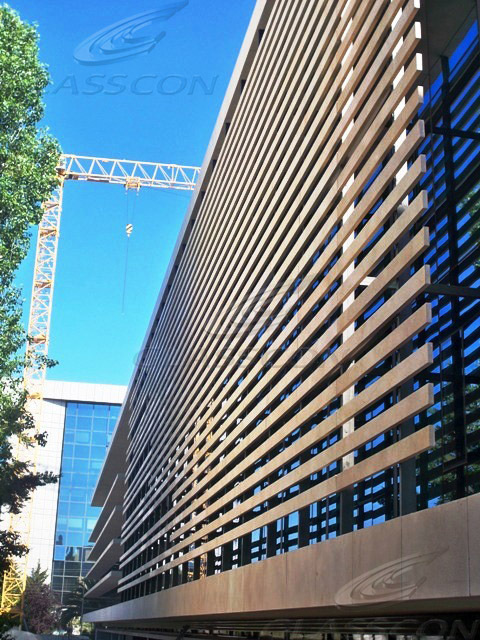 In this way, massive and heavy cladding panels are avoid but in the mean time panels with extremely high strength are produced on the most economical way. 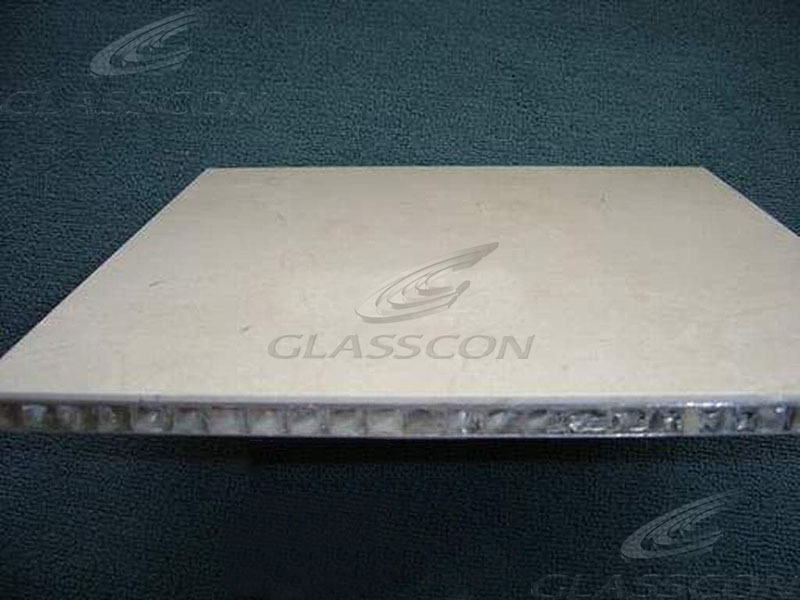 Glasscon Honeycomb panels are suitable for any appliance (external/internal) as they are extremely durable to fire, humidity, climate changes, pollution etc.